I Define Me – NYC Updates & Discount Code Ends TODAY! Updates Updates Updates! 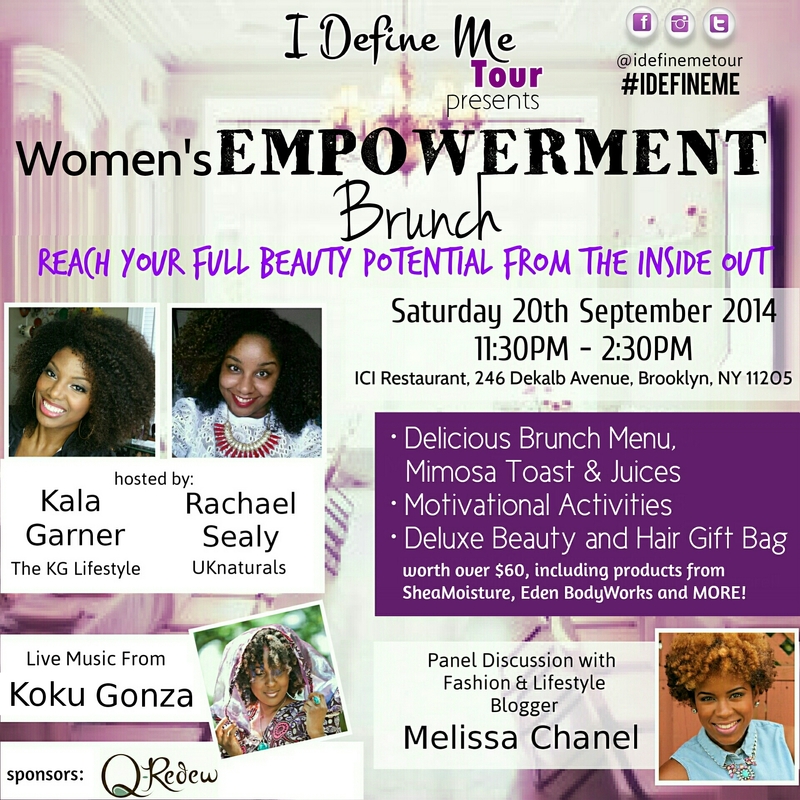 So much has been going on, and I’m SO excited to share some exciting updates surrounding the I Define Me Tour – Women’s Empowerment Brunch in NYC! If this is your first time hearing about the brunch make sure to check out idefinemetour.com and @idefinemetour on all social media platforms! My goal with launching this tour is to foster great conversations surrounding inner beauty while also chit chatting about all of the outer beauty stuff us ladies like to talk about. It’s a girlfriend’s gathering with a purpose! So go go go to idefinemetour.eventbrite.com and snag yours now! You’ll get waaaay more than the ticket price. What exactly? Wellll…..
And let me tell you SO MUCH MORE! I’m so frickin excited to mingle and hang out with everyone! And even more excited to announce the next city! If you’re not in the NYC area for this event make sure to share it with a woman who is! Thanks for your support over the years and your kind words in support of this new venture of spreading positive energy! Unfotunately, I have to work but I know it’ll be a success!